Dan and Michael Murphy of M4 Ranch Group celebrate their APEX 2017 Top National Producer honors. Dan and Michael Murphy share honors as APEX 2017 Top National Producer at RLI’s National Land Conference last month in Nashville. On March 13, the Realtors Land Institute (RLI) recognized the best in the land business with the APEX Awards. Michael and Dan Murphy with Colorado’s M4 Ranch Group shared RLI’s most coveted award, the APEX 2017 Top National Producer. The duo was also recognized as National Broker of the Year for Recreational Land Sales. Other Broker of the Year honorees included Dax Hayden of Hayden Outdoors for Ag Land Sales Ranches; Clint Flowers, ALC, of National Land Realty for Timber Land Sales; Ryan Sampson, ALC, of Eshenbaugh Land Company for Commercial Land Sales; Danny Smith, ALC, of Smith & Smith Realty for Residential Land Sales; and Troy Louwagie, ALC, of Hertz Real Estate Services for Ag Land Sales Crops as well as Auction Land Sales. In addition to being named Broker of the Year in two categories, Louwagie also won the APEX 2017 Wrangler Award for greatest number of transactions closed in 2017. “The APEX 2017 Award winners are the cream of the crop when it comes to conducting land transactions. 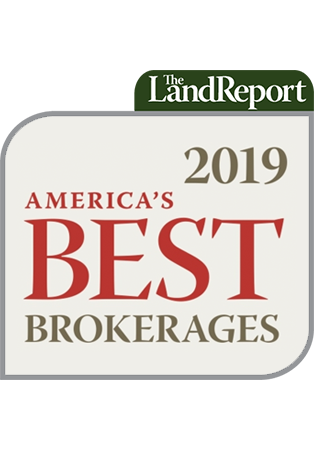 RLI is proud to be partnered with The Land Report to give these land agents the national industry recognition as a top-producer that they deserve,” said RLI CEO Aubrie Kobernus, MBA, RCE.